Picture the scene. Four airliners crash simultaneously around the globe leaving just three child survivors. The crashes are unexplainable, and aside from one recorded message left by a passenger who survives long enough to cause worldwide pandemonium with her message, there are few clues as to how or why. What happens next is the plot of the book, as it follows chapter by chapter different first person accounts of those most deeply affected by the crashes around the world - relatives, friends and some downright kooky characters who are either hell-bent on linking the events to Revelation events from the Bible and trying to use the situation to affect a mass uprising, or those who are now convinced at the existence of something other than human plotting to take over the world. And the fact that the book 'From Crash to Conspiracy' is written within the book itself adds another layer of complexity as you try and objectively work out along with the rest of the world what you really believe. This book will take you on a journey. You will feel compelled to come up with your own explanations, to rationalise and suppose what might have happened. You will feel anger and frustration with those who act out of limited knowledge to try and effect radical change on humanity and not for the better. You will come to fear that the world we live in (the book is set in 2014) could so easily morph into the nightmare that The Three portrays with such little warning. You will wonder at the possibilities. The uncanny and unexplainable changes that happen in the lives of those closest to The Three. These three children who, are undoubtedly changed by their experience, change others. There are unexplained miracles, and while you want to believe the best, somehow you know there is more to it. And then, when you think you have it all figured out, you’ll still be shocked by the twist and turns in the final chapters. I thought the timing of this book being published was quite uncanny as the world still waits and hopes to find out the final fate of flight MH-370. And will we ever really know? As each day passes, the likelihood that there will be a simple explanation that everyone will accept grows dimmer. We have all drawn our own conclusions about what happened and that may be all we ever have to go on. Let’s face it. Life isn’t always tidy and it doesn’t come in a nice, neat little package. It would be boring if it did. There are always questions without answers and I don’t think it does us any harm to have to draw our own conclusions from time to time whether it's in life or literature. This is a book that will leave you with questions. Think back to that epic TV programme LOST which we loved to hate but couldn't quite make ourselves stop watching. We just wanted answers, but every time we thought we had an answer another question popped up. So if you like a nice, tidy ending to your stories, you might feel a little undone when you get to the last pages. 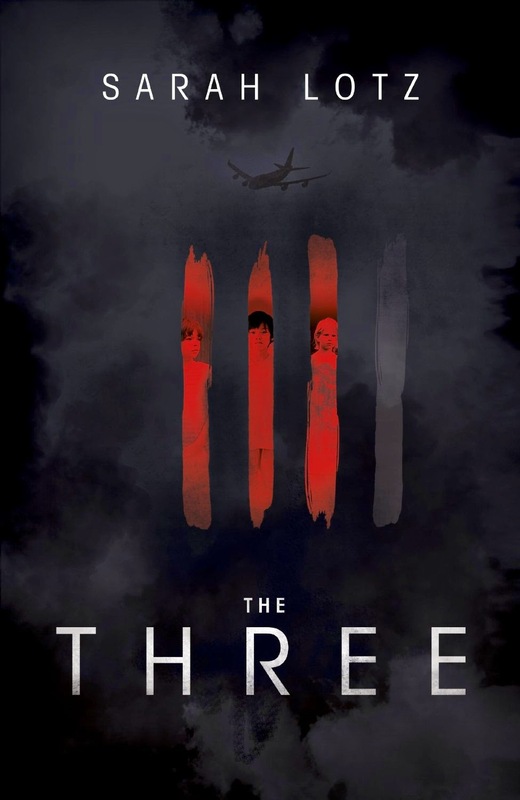 The Three is quite simply a rollercoaster that will leave you gasping for breath as it pulls you in a different direction around every corner, and yet you'll still be wishing for more by the time you reach the end of the ride. Thanks to Hachette NZ for the review copy. Disclaimer: I was given a copy of The Three in exchange for my review. I am not being compensated in any other way.